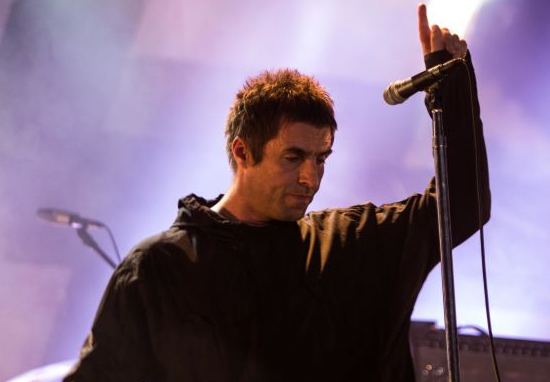 Liam Gallagher has accidently shared the fact that he has a picture of Dom from Love Island on his phone, to the great amusement of fans. Today Liam shared a pic of him smoking on a plane, looking the very height of indie cool. However, he didn’t count on his eagle eyed Twitter followers noting that he also had a picture of Dom Lever, the Love Island Lothario, in his image library. The image shows Dom with long swishy hair, adorned with what appears to be sparkly yellow butterflies. Even more mysteriously, the photo is saved in a folder entitled ‘My Girl’. It isn’t immediately clear what the connection is between the flirty reality star and the uber-confident former Oasis frontman. Could it be that the swaggering rock star is secretly partial to the dating reality show? If we know Liam as we feel we do, he will roll with the banter and have some pretty good comebacks to share. In the meantime, its good to know that even rock and roll royalty can enjoy a bit of trashy telly every now and again!